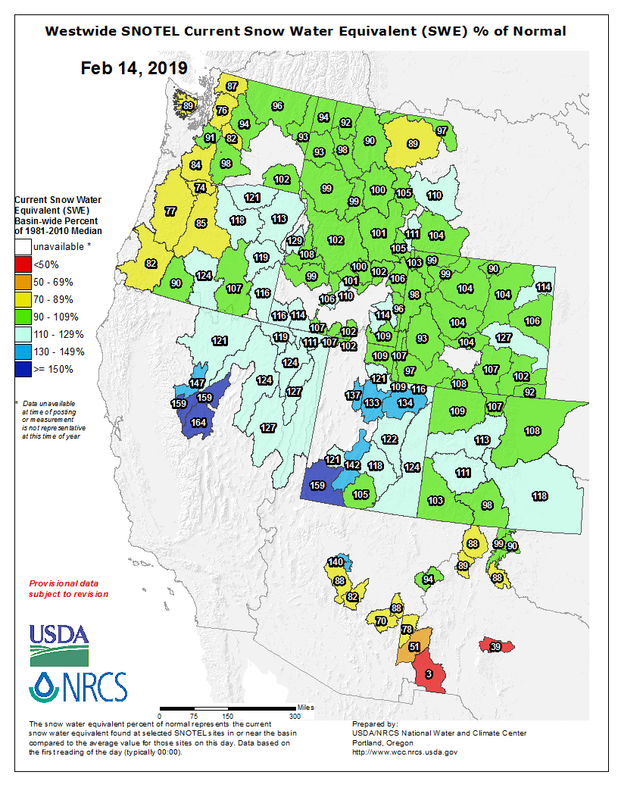 Thanks to a firehose of moisture and a parade of storms during the first half of February, nearly every basin in the Western United States is above or near their 30-year average snowpack for this time in February. 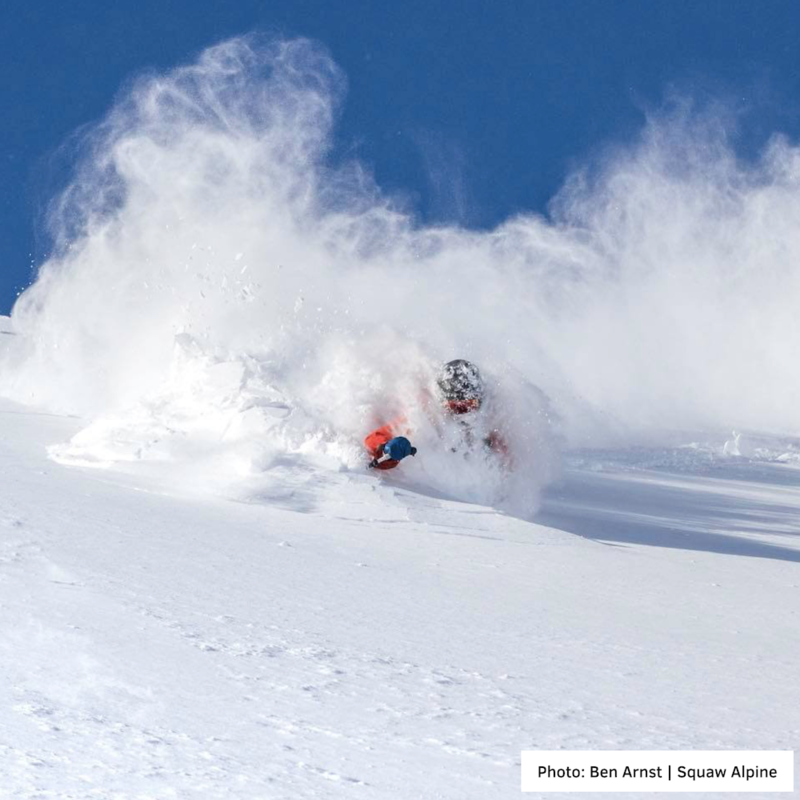 Mammoth and Squaw Valley have also eclipsed their snowfall records for the month of February. It's truly been FebruBURIED! The map below shows the percent of snowpack compared to the average snowpack for that day. Red is well below-average, yellow and green are below to near average, and blue/purple is well above-average. This based on the weight of the snow on the ground, measured by automated backcountry weather stations called SNOTEL. Looking for the latest update for your local mountain? 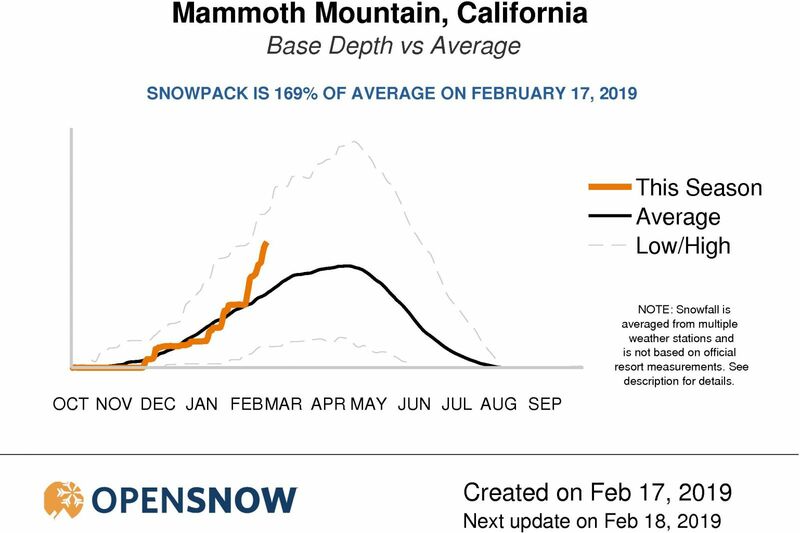 The following Base Depth vs. Average graph is updated daily on OpenSnow and available to All-Access members for nearly every mountain location in the western US and Canada. Make sure to download the OpenSnow Mobile App and stay tuned to our local forecasters for the latest update in your region.